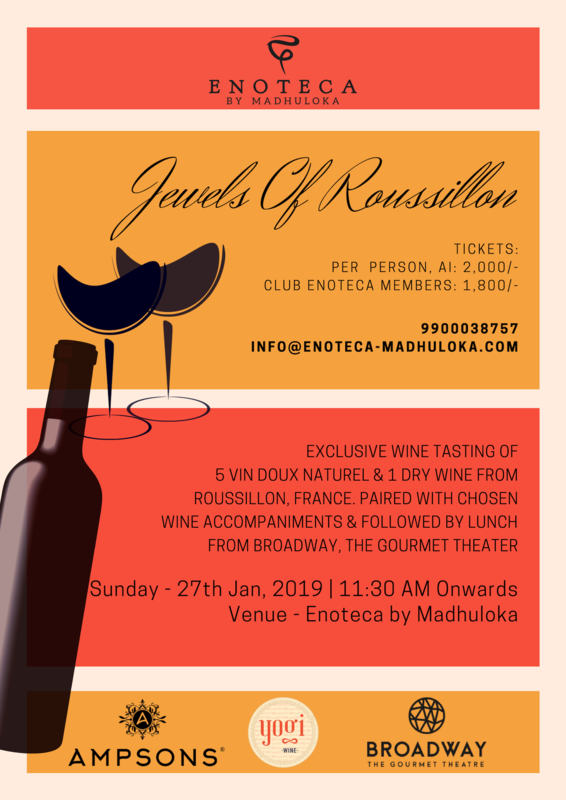 Start this year by exploring sweet side of France and join us for this exclusive tastings of Vin Doux Naturels from Roussilon paired with chosen wine accompaniments. After we welcome you with a bubbly and hors d'oeuvres we shall take you to the journey of wines from dry to semi sweet before the excuisite tastings of luscious Tuile and Ambre dessert style wines of VDN Roussillon. Each wine is paired with carefully selected accompaniments which would only enhance the flavours on your palate left by the sweet jewels of Roussillon. Limited to 10 Seats only!